While the winners for the 2015 Hermes Creative Awards won’t be announced for a while, we’re showcasing select entries that stand out. Keep checking back to see if your work will be highlighted. Haven’t entered yet? There’s still time! A public service announcement is about the last thing you would expect to be creative. But Bluemango Communications managed to take an ordinary subject and transform it a piece of art. 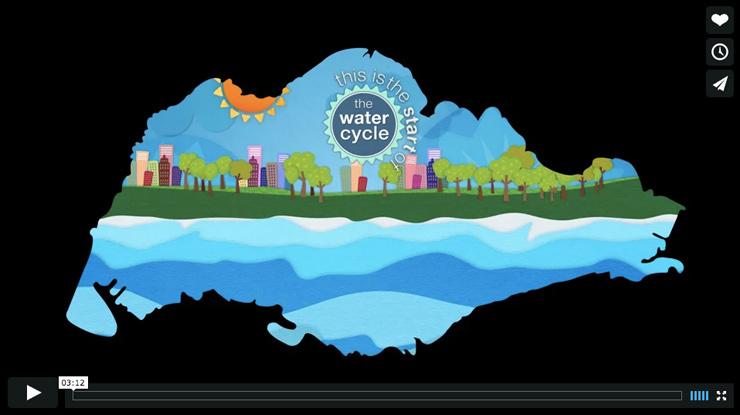 The client, the Public Utilities Board of Singapore, wanted to deliver a message about water. Bluemango created a motion graphics video that presents the illusion of a painting coming to life. With simple, memorable music and splashes of colors, the PSA draws in viewers with a a sentimental, light-hearted touch.